According to coordinates provided by others: About 7 miles west-northwest of Burgaw on Piney Wood Rd., just east of Cypress Creek. Take Wilmington St. (Route 53) west from Burgaw to Horse Branch Rd. (Route 1336). 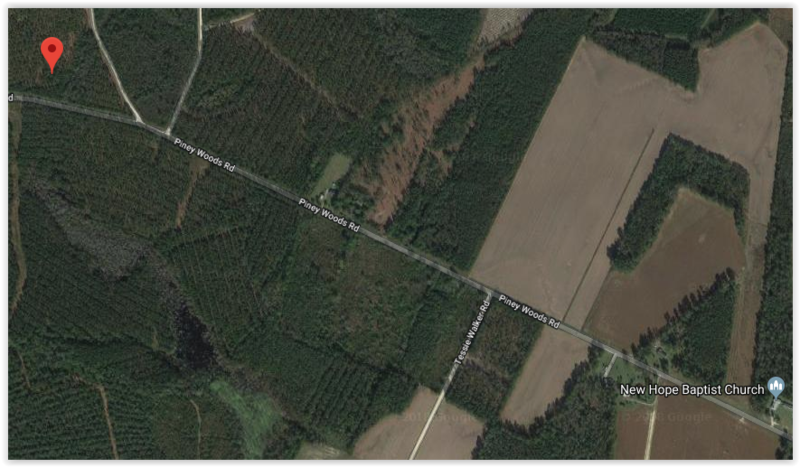 Turn right (north) to Piney Woods Rd., then left and drive past Tessie Walker Rd. The cemetery should be a short distance farther west, just beyond two small roads seen on the right. Will be in the forest on the right (north) side of the road.